Are You a Winslow? : /// GET SLANTED /// with the first official mixtape from diagonal. 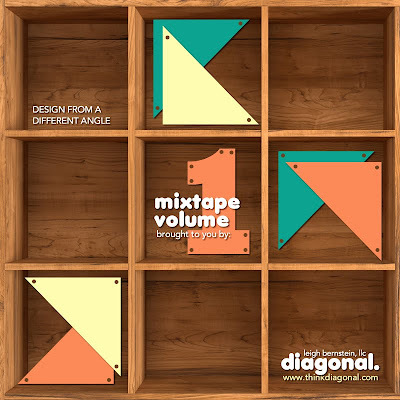 with the first official mixtape from diagonal. Diagonaleigh, here, bringing you the first of my official mixtapes! I worked together with my associate, P Buck on this creation, in promotion of my new design firm, diagonal. We think you should enjoy it on this lovely summer day with a bevvy of your choice. To catch up on all goings-on at diagonal., check out the newsletter that just dropped today. And for any and all of your design needs, give me a shout at helloleigh@gmail.com. I'd love to make some magic for you!